... so you can focus on what you do best. There are lots of companies that host websites. 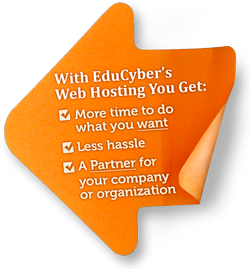 Why should you choose EduCyber for your web hosting? 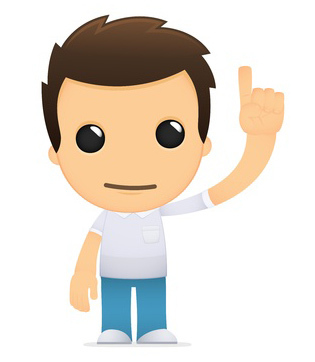 We take all the pain out of web hosting. You don’t have to worry about things like cpanels, bandwidth, disk space, remembering how to create an email account, or paying your web designer to make changes to your site. Let us repeat that last point: You don’t have to worry about paying your web designer to make changes to your site. We build time into our hosting packages. Time for you. Each of our hosting packages includes up to 30 minutes of our time each month. So if you have changes that you need, you can just send them to us and we’ll do them for you. Let us help you create just the right kind of message to show your potential customers who you are. Don’t see what you’re looking for? Give us a call at 303-268-2245. We probably have it or can make it available. Need more? We have more. Add email marketing to your hosting (we use iContact) and you can send up to 10,000 emails per year for only another $200 per year. Add both ecommerce and email marketing for only another $350 per year. For up to 5 GBs of disk space and 10 GBs of bandwidth (these are pretty big numbers for most sites), the cost is only $825 / year. Need more than that? We can tailor a package to fit your specific needs. Download All the Details in an Easy PDF. Give us a call at 303-268-2245 or contact us below.